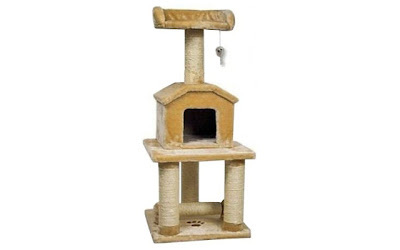 63% off the Go Pet Club 45" Tall Beige Cat Tree Condo - Just $59.51 Shipped! The Go Pet Club 45" Tall Beige Cat Tree Condo Furniture is currently selling for just $59.51 on Amazon.com! You will be saving 63% off the listed price of $159.00 with this cat tree deal. Top Bed Size : 14" x 14"